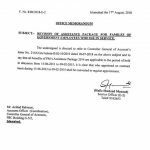 Ministry of Education, Trainings & Standards in Higher Education Commission has issued Notification No. 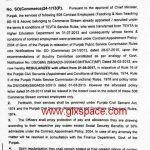 1-16/2011-Admn dated 12th November 2013 regarding Regularization of Contract Employees of NCHD. 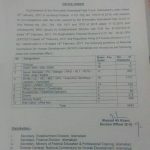 In this Notification it is stated that In pursuance of the decision taken by Cabinet Sub-Committee on Regularization of Contract/Daily Wages Employees in the Ministries/Divisions/Attached Departments/Autonomous Bodies/Organizations etc in a meeting held on 27-02-2013 and conveyed by Establishment Division O.M No. 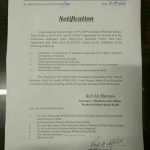 3/5/2011-Admn dated 04-03-2013 followed by the creation of 2043 posts in NCHD by the Finance Division on 21-08-2013, the services of the following contract employees of National Commission for Human Development (NCHD), Islamabad are hereby regularized with effect from 01-07-2013. 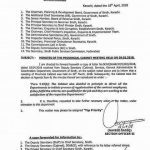 Dear KHATTAK, still no latest updates. Dear aleesha as soon as i get the updates i ll share. 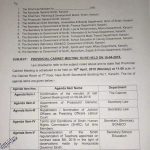 Sister punjab govt employs education departemet kb tak final order de ga.
Dear Safdar kuch bhi nahin kaha ja sakta.